Chicago is the largest U.S. city to set an official goal of achieving 100 percent renewable energy. What's the World Economic Forum doing about the transition to clean energy? Moving to clean energy is key to combatting climate change, yet in the past five years, the energy transition has stagnated. 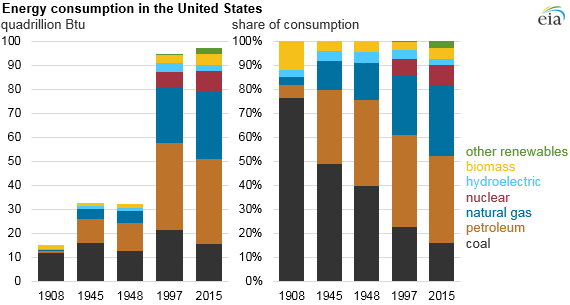 Energy consumption and production contribute to two-thirds of global emissions, and 81% of the global energy system is still based on fossil fuels, the same percentage as 30 years ago. Effective policies, private-sector action and public-private cooperation are needed to create a more inclusive, sustainable, affordable and secure global energy system. Benchmarking progress is essential to a successful transition. 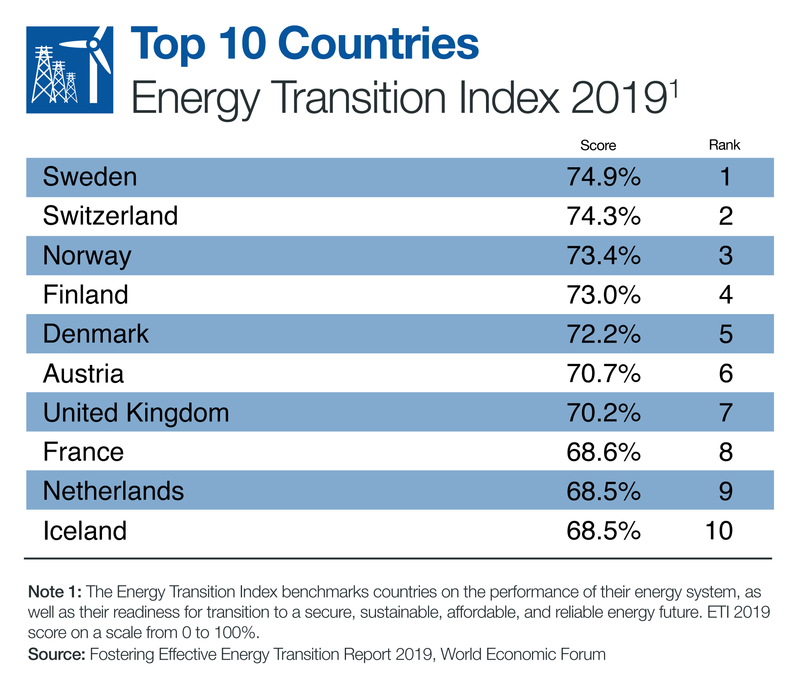 The World Economic Forum’s Energy Transition Index, which ranks 115 economies on how well they balance energy security and access with environmental sustainability and affordability, shows that the biggest challenge facing energy transition is the lack of readiness among the world’s largest emitters, including US, China, India and Russia. The 10 countries that score the highest in terms of readiness account for only 2.6% of global annual emissions. To future-proof the global energy system, the Forum’s Shaping the Future of Energy initiative is working with projects including the Partnering for Sustainable Energy Innovation, the Future of Electricity, the Global Battery Alliance and Scaling Renewable Energy to encourage and enable innovative energy investments, technologies and solutions.